You are here: Home › Opinion › Are there more bullies now – or just more of the bullied? I assess bullying claims in the workplace. Over the past decade there has been a steady dilution in the meaning of bullying – such that it is the perceptions of the accusers that are being prioritised. There are greater expectations on businesses to manage the emotional wellbeing of their employees, and it is a challenge for them. It is especially so as our society becomes more ethnically diverse. This creates a wider variety of perceptions to any incident or statement. The dramatic realignment in gender relations is further complicating expectations surrounding appropriate behaviour. An example I remember as a medico was when a British doctor was asked by a nurse to do some photocopying, something that would never happen in Britain’s National Health Service. He just passed it off as the greater egalitarian ethos, and perhaps unsophistication, of the antipodes. The same request when made to an Indian or Chinese doctor was viewed through the lens of race and seen as a slight upon the doctor’s status. This is a good example of the importance of perceptions. When bullying research first arose in the 1970s, the focus was on schoolchildren. The definition emphasised the need for repeated, intentional hostility and involved a power imbalance. The concept has now spread to areas such as the workplace and social media. This is appropriate, especially in the wake of the tragic suicide of Northern Territory teenager and former face of Akubra, Dolly Everett. The Prime Minister has announced the tackling of bullying as a national priority in response. But the other change in notions of bullying is that the importance of intention and repetition have been removed to some extent. While it is designed to help potential victims, the result is often damaging for all involved. The Productivity Commission estimates the economic cost of bullying at between $6 million and $36 million. The average claim costs approximately $24,000. 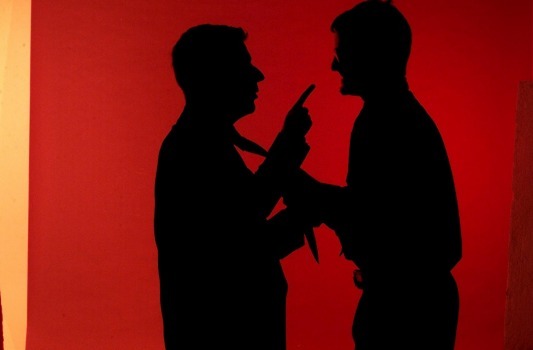 Psychological claims are the most prolonged and expensive of workplace disputes. Union representatives express relief that business are finally taking psychological risks to employees seriously, especially since legal changes to equalise psychological and physical injuries occurred almost 30 years ago. “It is only in the last 10 years that employers are taking it more seriously,” says ACTU assistant secretary Michael Borowick. The prior emphasis was upon managing difficult personalities who were deemed more likely to make claims, whereas now there is a greater appreciation of systemic risks. A recent announcement that $100 million will be spent to train NSW teachers in mental health is further evidence of the greater therapeutic expectation of our institutions. Last year Beyond Blue’s Jeff Kennett argued for the linking of management performance bonuses to the mental wellbeing of employees. But much of the increase in mental health concerns is a reflection of wider cultural trends such as the greater focus on individual self-fulfilment amid the decline of collective institutions such as family, community and religion. This trend often plays out at work because for most of us, our jobs are the primary source of identity and status. The rise of the service economy also puts a greater emphasis on self-presentation, making employees more mentally brittle as they strive to project their best selves. Behaviour at work illustrates our natures as advanced primates playing out primitive dances of dominance, aggression and status-seeking through the forums of email, meetings and open-plan offices. The tension between productivity, profit and the welfare of workers is an unavoidable staple of business. This is why bullying claims often arise amid performance management processes. The growth industry of anti-bullying programs has the potential to do more harm than good, especially if perceptions continue to be given priority. There is a limit to the management imperative upon human resources and psycho-social risk. Employers have a duty to maintain a safe workplace but this should not extend to the burden of monitoring the psychic parameters of their employees. There are wider social currents that have led to a greater sensitivity to psychological harm, for which business cannot always be held responsible. Tanveer Ahmed is a practising psychiatrist.